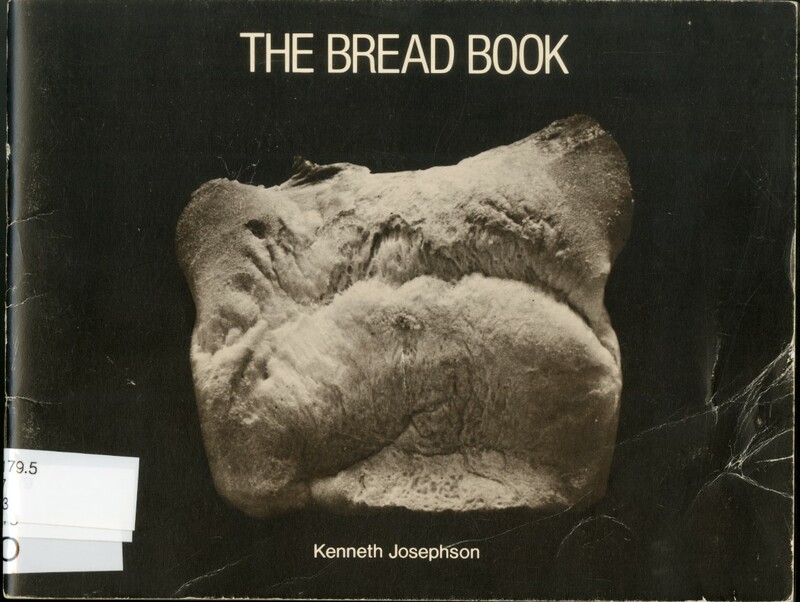 The Bread Book by Kenneth Josephson (1973) is a small booklet of twenty pages printed in offset. Starting with the front cover which shows, besides the title, the cap of a loaf of bread, each sheet progressively shows the front and back of all ten slices of a small loaf of bread. The back cover therefore shows the other end of the loaf. Josephson created this book in direct response to the photo story sequences that were being created and published by Duane Michals at about that time. What started life as a fairly cheap and affordable book now retails for quite some dough. . .
Kenneth Josephson was born on July 1, 1932 in Detroit Michigan and he is one of the early and influential practitioners of Conceptual photography. Layering his images within other images and playing with the act of picture-making, investigating the nature of truth and illusion in the photographic medium. He is one of the great photographers of the latter part of the 20th century. This entry was posted in artists' books, Unpacking the collection and tagged Bread Book, conceptual photography, kenneth Josephson, Matthew Carson. Bookmark the permalink.